After months of anticipation and preparation, most stepped eagerly into this adventure with hopes of transformation, realization and tales to share with friends. What most of these people could not have known, however, is that their participation was simultaneously fulfilling an important dream of mine as well. After leaving behind a cushy job in corporate America in early 2014, I made the decision I was never again going to do something that did not bring joy to my heart. I became my own boss. I began training clients on my terms. I traveled a lot. I never stayed in one place for too long, in fear I might start growing roots. In those days, “growing roots” meant: getting bored and stalling my evolution. This type of “always-in-motion” style of living came at a cost, however. Being without a “home,” is an unthinkable concept to some. To others, it sounds like a blast. For me, the faster I could flap my wings, meant the faster I could get to my next destination. My soul’s yearnings and manifestation of multiple trips to Baja, Bali, Puerto Rico, Vancouver Island, Hawaii and New Zealand all began after my first big adventure. One that came immediately following my departure from the corporate world, and directly after a big breakup with a girl I once thought I would marry; in April of 2014, I climbed aboard a flight to Costa Rica. 3 weeks to travel, surf, explore and do whatever I wanted on my terms to learn and grow in whatever way the Universe needed me to. And now, almost exactly 5 years later, a seed that was planted then has finally come to harvest. In 2017, just after completing a teacher training and month stay in Bali, I was struck with a wave of change; a shift. (More on that story here) I would never be done learning from the omnipresent teacher of this life-giving Earth Mother, but it was now my time to find new ways of giving back. I decided then that I wanted to travel with purpose. I wanted to deliver the people who felt called toward soul growth into a safe and beautiful environment that they could learn and elevate their life. It was there, in the last days in Bali that I developed what is now CRAVE. 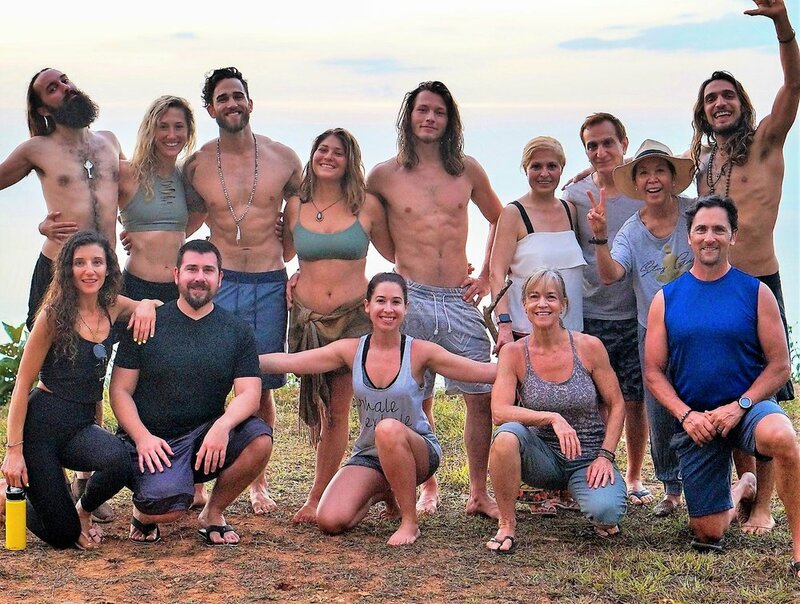 A conscious living retreat that serves to be a sort of smorgasburg of mindfulness tools, yoga and fitness modalities and nutritional axioms for a participant’s Higher self to learn from and integrate into their own lives. CRAVE- Pura Vida was the second CRAVE Retreat in history. It was the first international CRAVE, and it was the culmination of years and years of keeping my eyes cast up toward the sky in search of higher meaning, and ways of living life on purpose. CRAVE’s tagline is “Nourish Your Purpose,” and following each CRAVE Retreat, I provide 40 days of follow up “Life Mastery Coaching” for you to take your transcendental experience with you back into real life. To all who have supported my journey into soulful learning, living, teaching and growing. Thank you to everyone who allows me to continue following my deepest joy and share in this beautiful human experience. Keep your eyes peeled for CRAVE- Adventure Tahoe (Immediately following Wanderlust Tahoe) this July 23-28 as well as CRAVE- Bali (October 2019).